Thomas-Detroit was a short-lived marque founded in 1906 after two former Oldsmobile employees had a chance encounter with E.R. Thomas of the Thomas Motor Company. The two ex-Olds employees, engineer Howard Coffin and salesman Roy Chapin, convinced Thomas to help fund their building of a slightly smaller car than Thomas was currently offering out of his Buffalo-based enterprise. 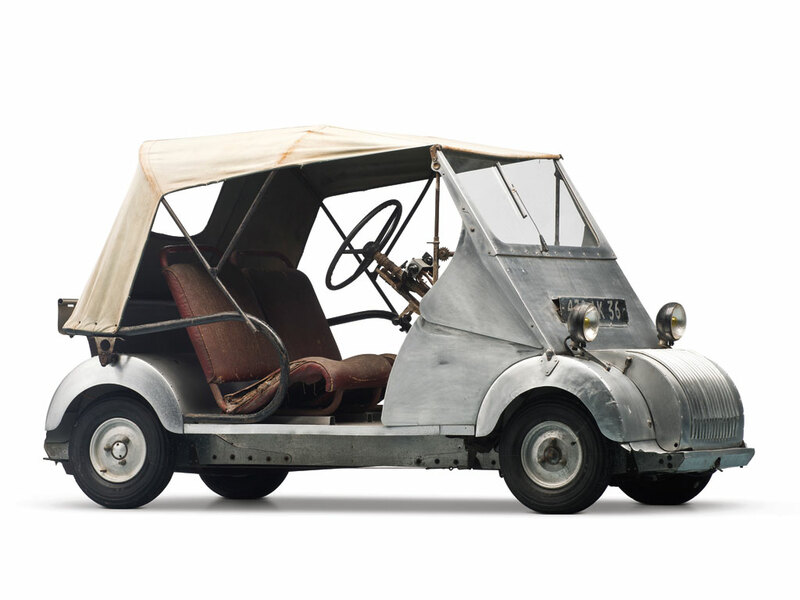 So Thomas-Detroit was set up in Detroit to build a 40HP car. It was offered in 1906, 1907, and 1908 only because Chapin and Coffin became tired of being managed from afar. They convinced Hugh Chalmers to buy out Thomas and the marque became Chalmers-Detroit for 1909 before becoming just Chalmers in 1911. This Model C is powered by a 5.8-liter straight-four making 40 horsepower. 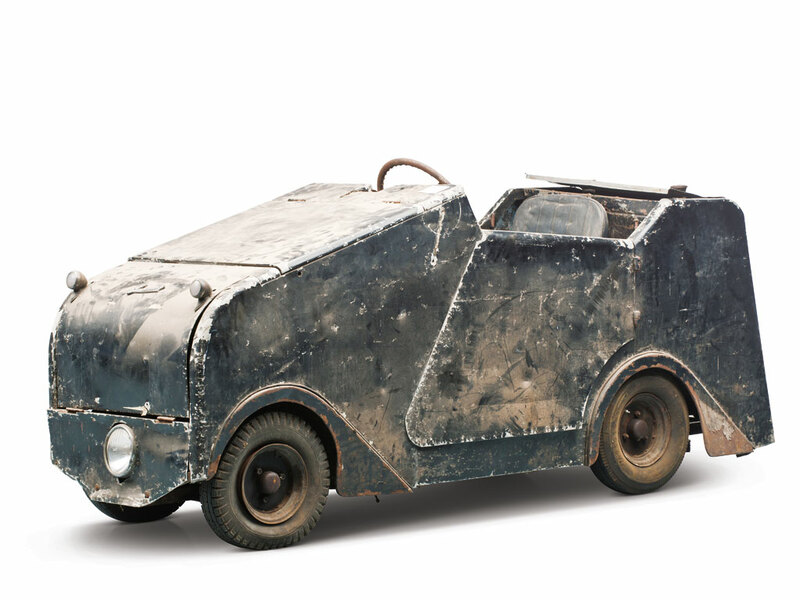 It was offered as a Runabout, Touring car, Limousine, or Landaulette. This Touring would’ve cost $2,750 when new. Very few Thomas-Detroit motorcars were ever completed and sold before the company’s name changed. 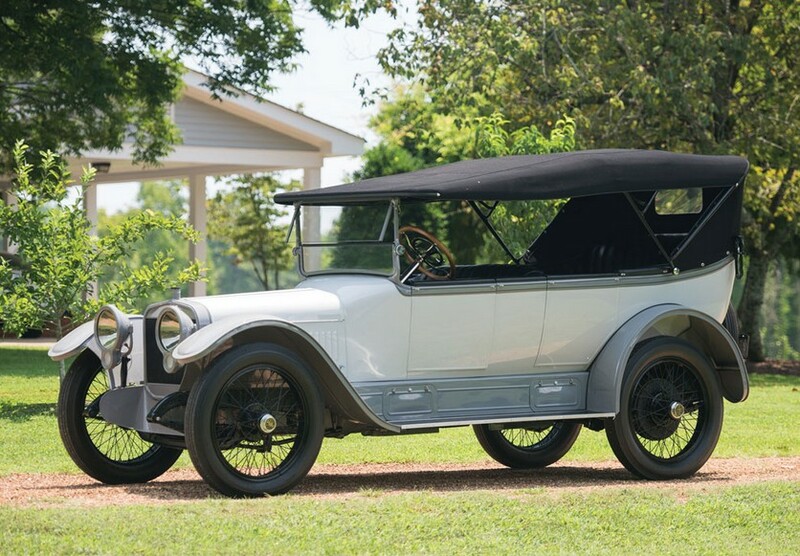 This one has been wonderfully restored and should bring between $125,000-$175,000 at auction. Click here for more info and here for more from this sale. 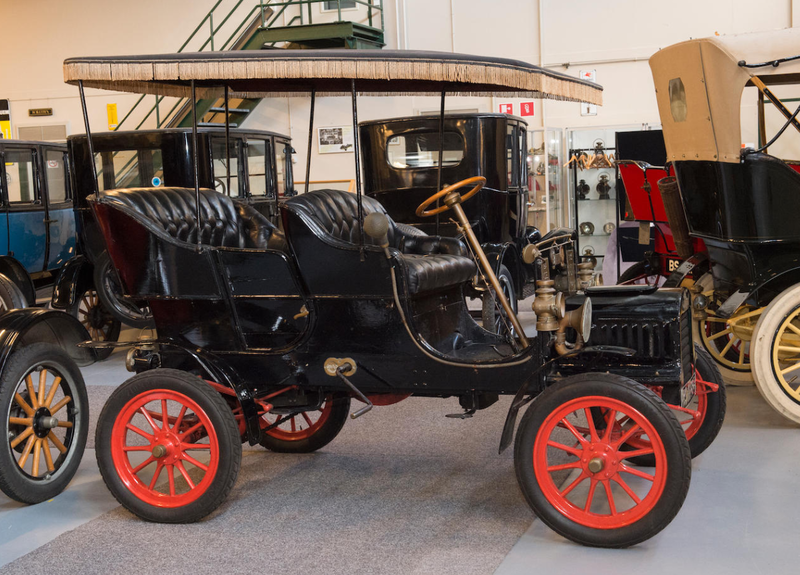 The Stanley brothers founded their first car company in 1897 but ended up selling the rights to that design to someone else. In 1902 they were back with a new, more modern-looking design. 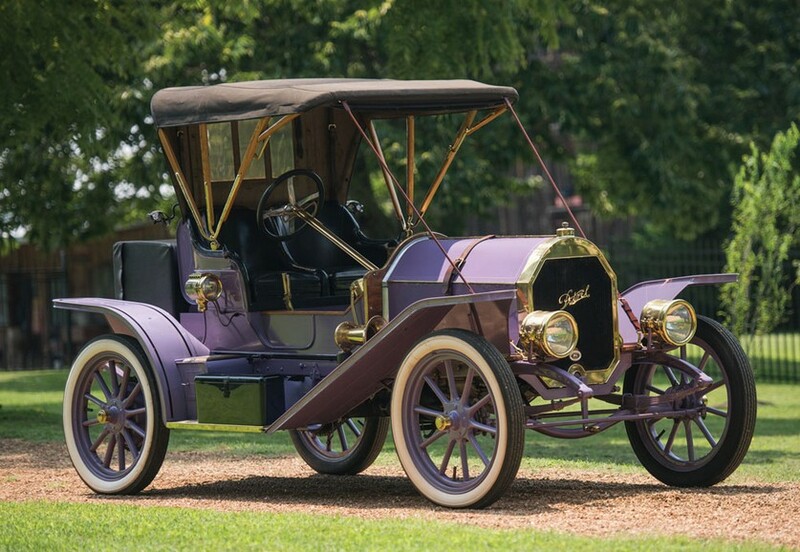 This 1904 Model C is a pretty early Stanley, but it’s not the earliest we’ve featured here on this site. The Model C was offered in 1903 and 1904. 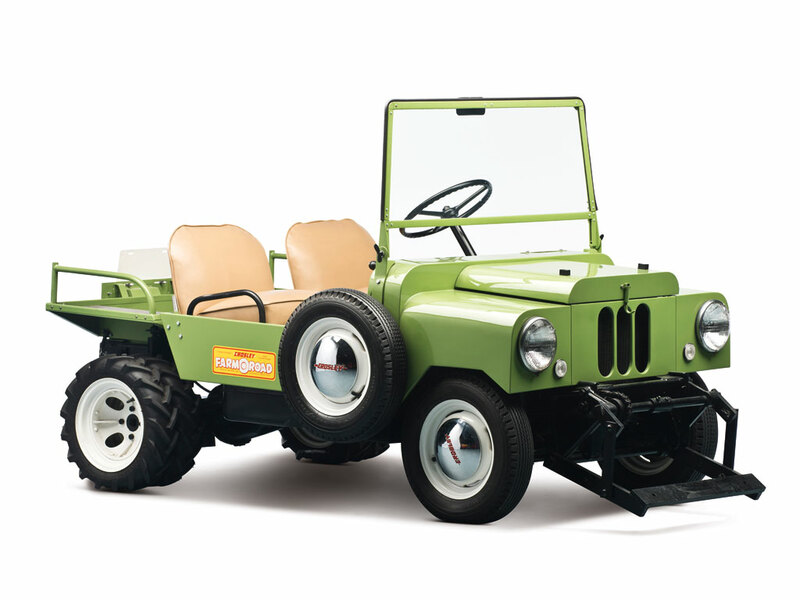 It features a 6.5 horsepower twin-cylinder steam engine. 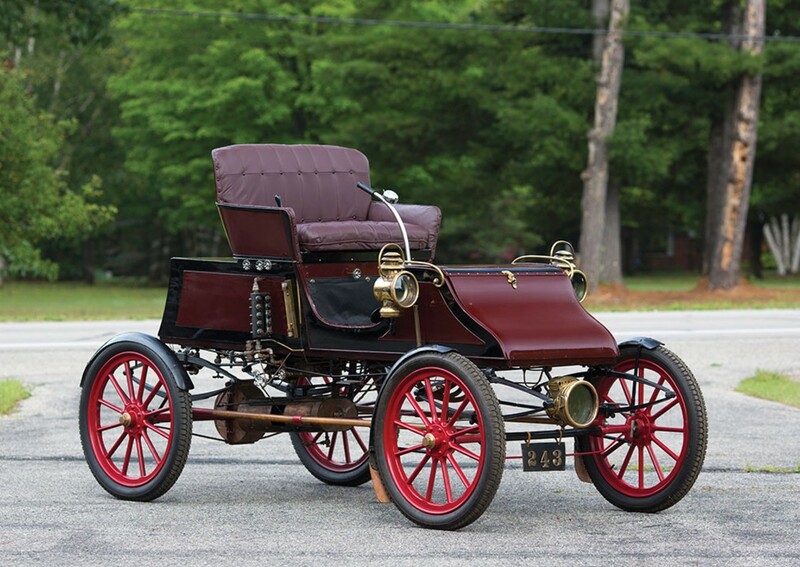 It was the only 1903 model listed, but was the baby Stanley for 1904 (as there were two more powerful cars offered). The Model C cost $695 in 1904. This particular car is fairly original. It has been repainted and a new boiler was installed within the last five years. It’s been sitting idle for almost that entire time, but with little effort it should be made roadworthy by its new owner. This car is expected to bring between $45,000-$65,000. Click here for more info and here for the rest of RM’s Hershey lineup. Car-Nation. Get it? Carnation. Forrest Keeton found success with his Keeton automobile and so he launched a second brand: the Car-Nation Motorette Company. 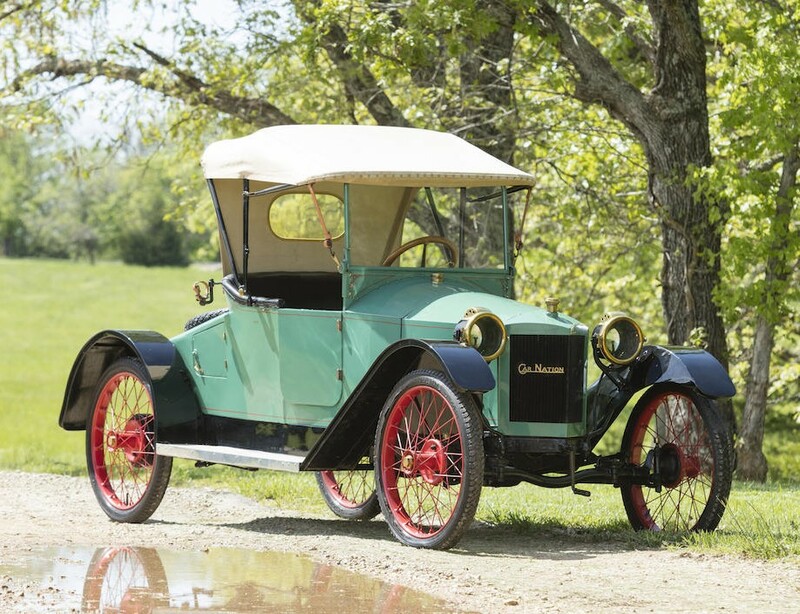 Both companies were purchased by Charles Schaeffer and merged into the American Voiturette Company. 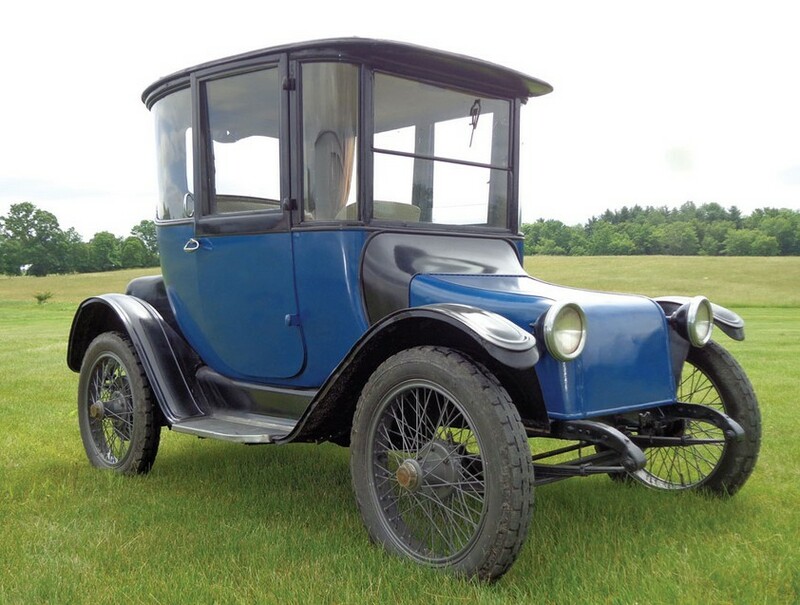 The Car-Nation marque only existed between 1912 and 1915. 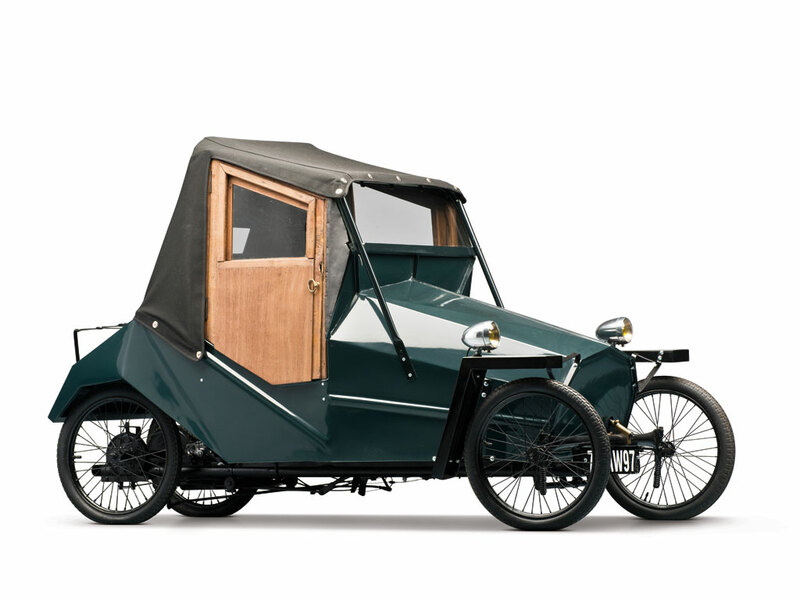 It’s a cyclecar, and is powered by an 18 horsepower 2.2-liter straight-four. 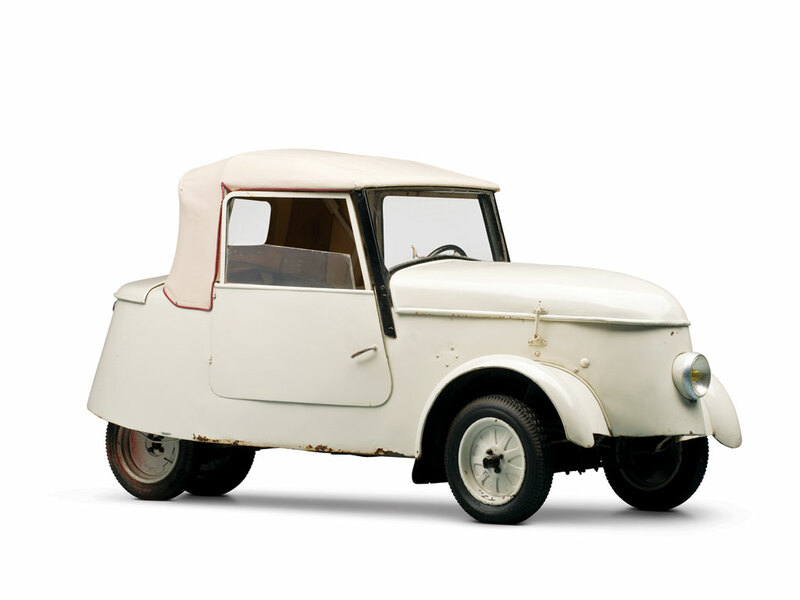 Three models were ever offered by the company and this is the Roadster. 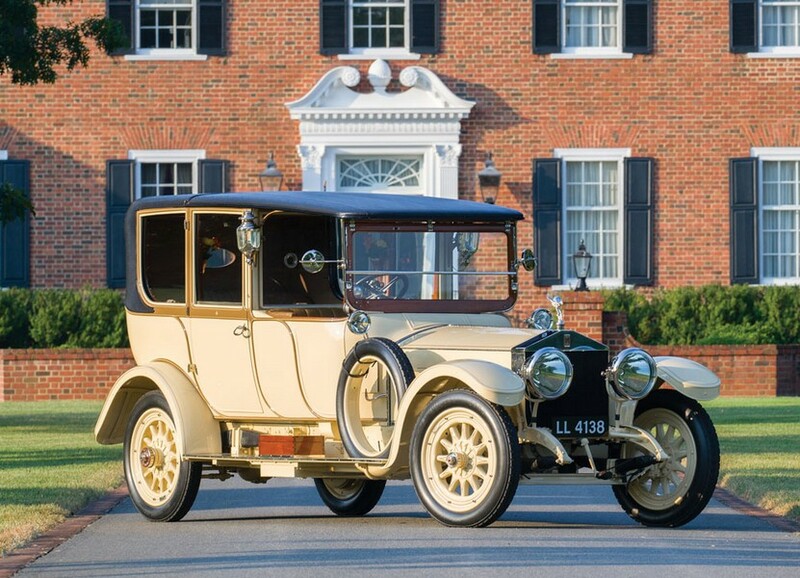 It was the least expensive at $495 – which was cheaper than a Model T.
This car was discovered in Maine in 1954 and restored. It spent a long time in a museum but is being offered from a private owner. 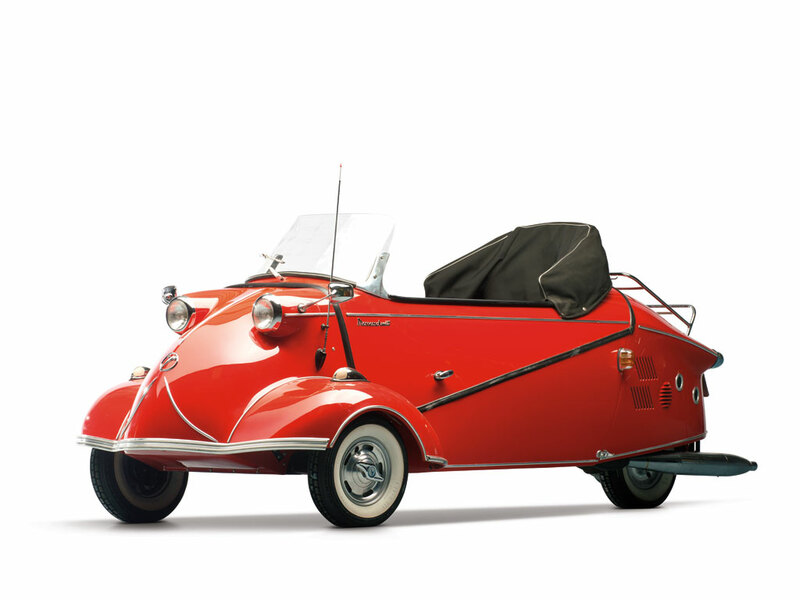 Only two Car-Nation Model C Roadsters are known to exist and there can’t be that many Car-Nations out there in general. It should sell for between $35,000-$40,000. Click here for more info and here for more from this sale. 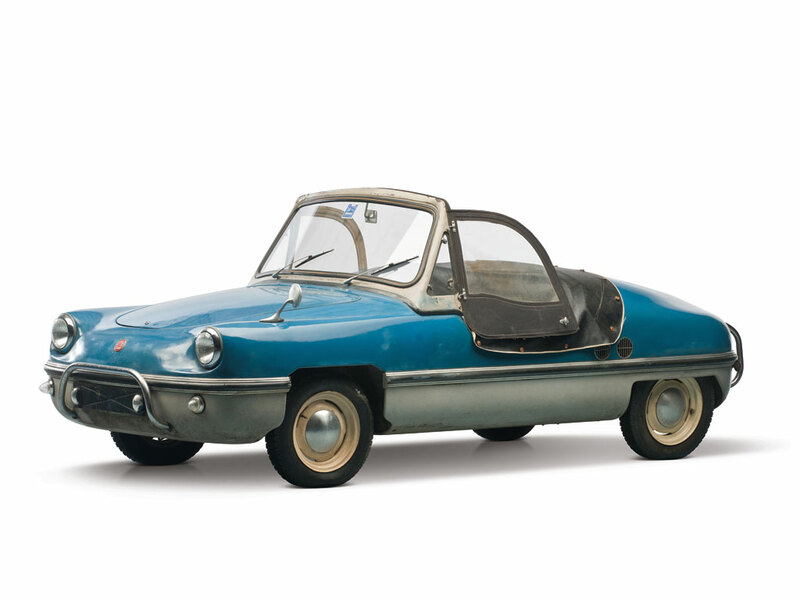 This light runabout is either a Model B or Model C (it is listed in the catalog as “Runabout”). 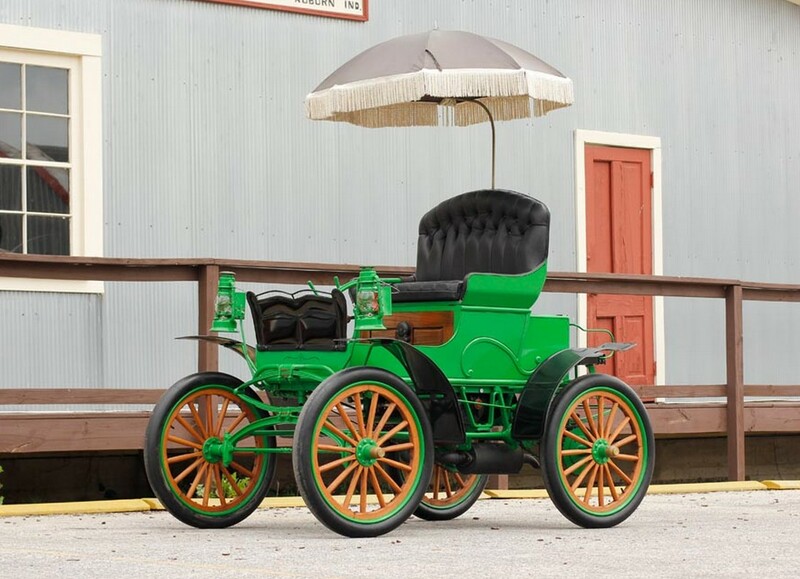 The difference was that the Model C had a top and while this is more of an umbrella, I’m considering it a “top” because I don’t see how a convertible top would be possible on this high-wheeler-esque design. I will, however, admit to liking the Oklahoma!-like parasol. The engine is a single-cylinder making eight horsepower. 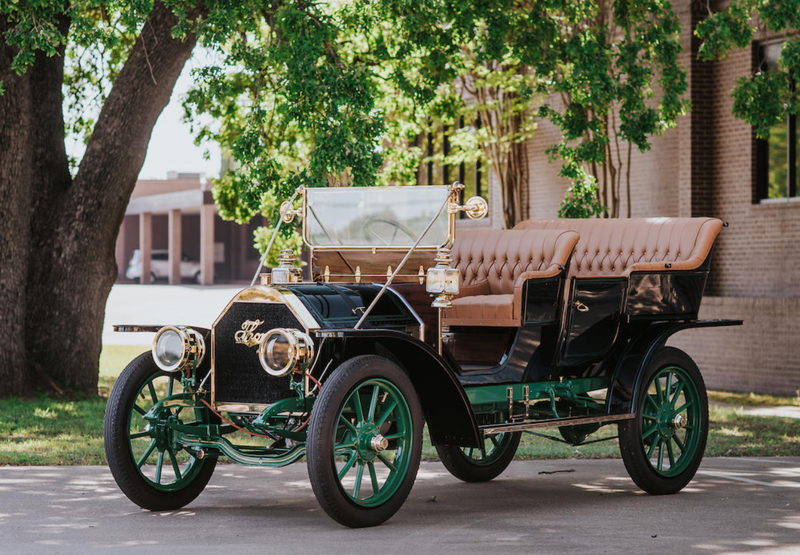 It is one of three known with tiller steering (of Jewell or Jewel) of about 1,000 total cars produced by the company over their short lifespan (Jewel disappeared after 1909). And it sports a very nice restoration. Click here for more info and here for more from this sale. 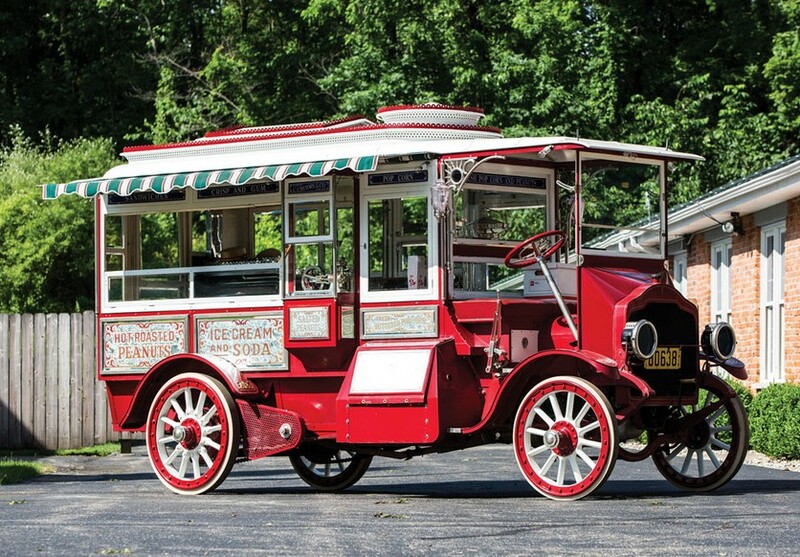 This rare, all-original truck is being offered for sale from the Antique Automobile Club of America (AACA) Museum. It has been on display for at least 10 years and was originally painted red and yellow – most of the yellow is still visible, but the original red paint is almost gone. This is a preservationist’s dream. Everything is untouched and original (albeit, it doesn’t currently run and will need a slight mechanical freshening). 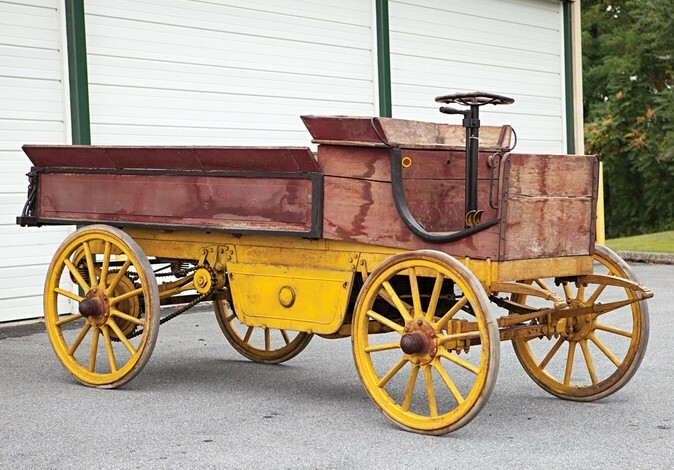 This truck was the factory demonstrator for the Schmidt brothers, whose commercial trucks went on sale in 1911. The company closed just two years later in 1913. 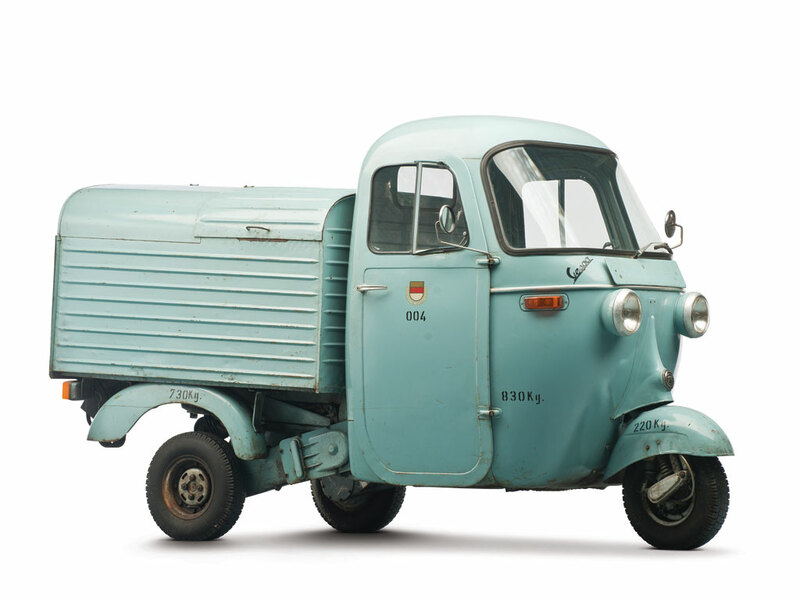 The truck was shown at shows and was never road-registered, has no serial number, and has only a small number of miles. 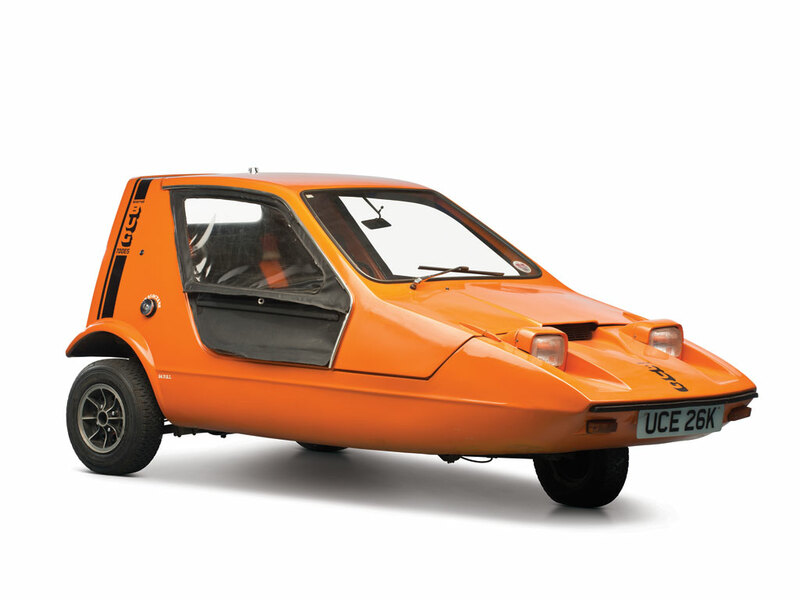 The engine, which is not working, is a two-cycle – and I can’t really see more of it to describe it further. 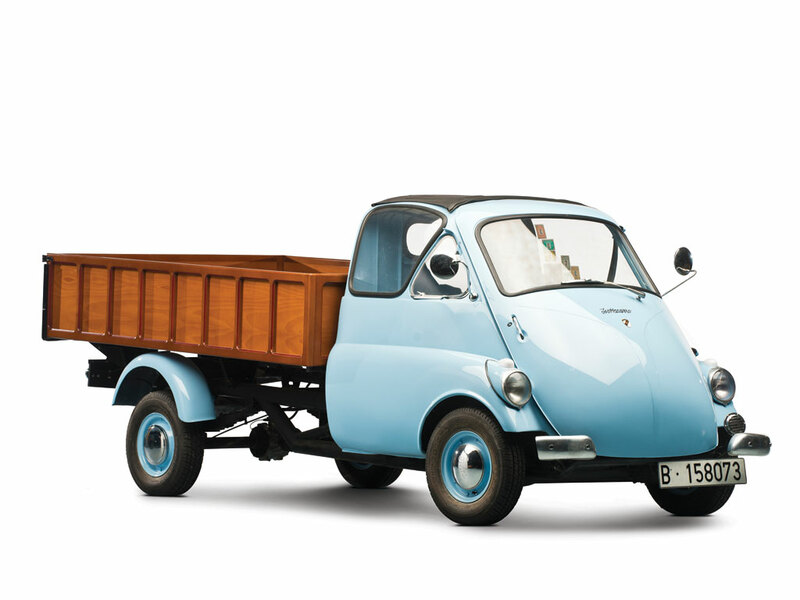 It is estimated that Schmidt built less than 100 total vehicles and this was among the first. It should sell for between $20,000-$25,000. Click here for more info and here for more from RM in Hershey.